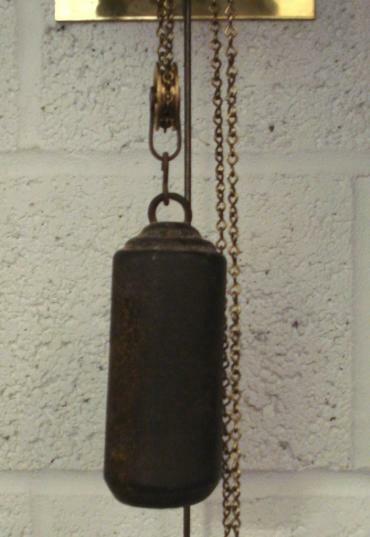 Stock Number: CLWA022 - Thos Moore Ipswich 30 hour Bell Strike - £825. 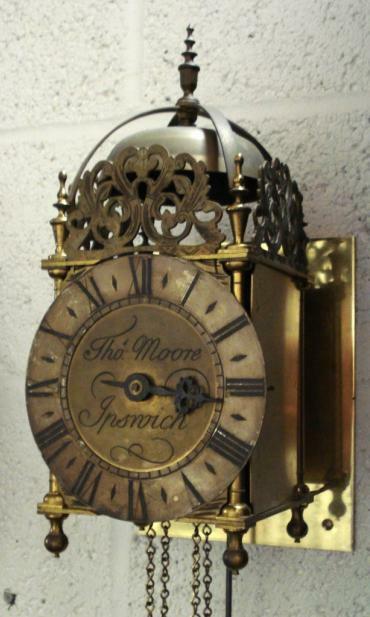 English reproduction 30 hour lantern clock signed to the dial 'Thos. 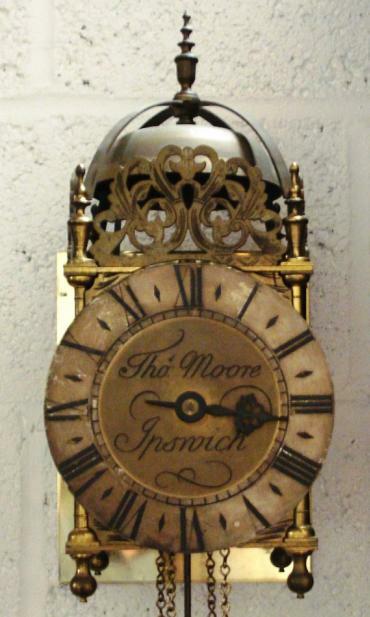 Moore, Ipswich'. 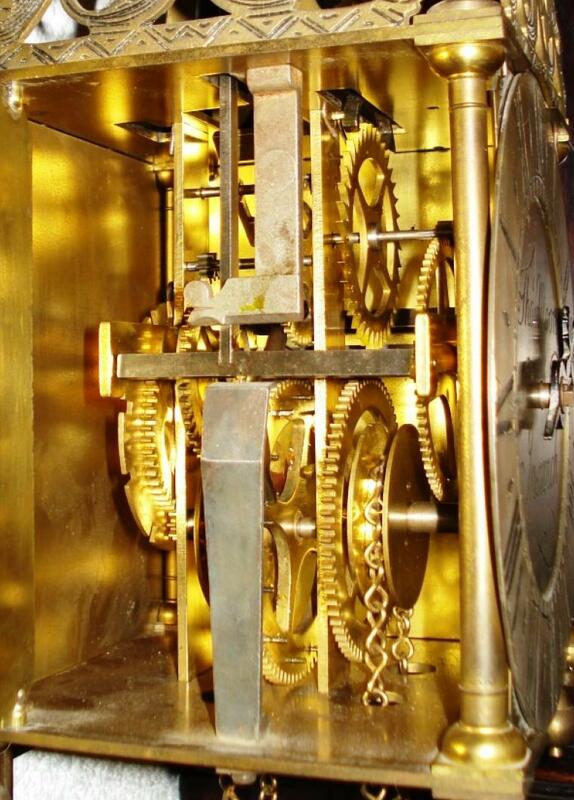 Brass and steel case with silvered chapter ring with black roman hours and blued steel hour hand. 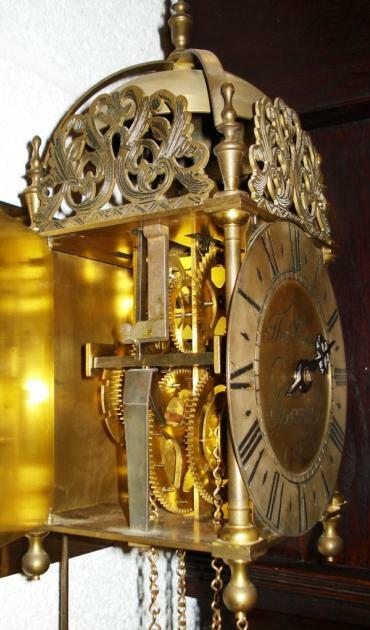 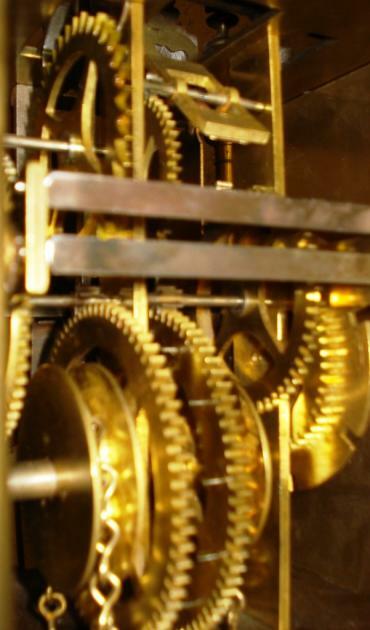 The good quality brass 30 hour movement has a single iron weight and brass and steel pendulum and strikes the hours on a bell. 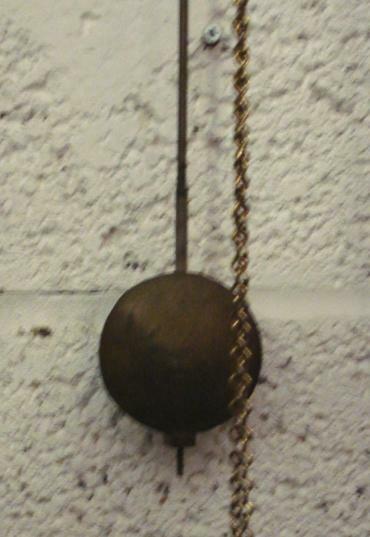 Dimensions: Height - 15.5", Width - 6.5", Depth 7.5".